Join with Catholic:Under The Hood in another meditation upon the icons of the Eastern Church by looking at the icon of the Resurrection. 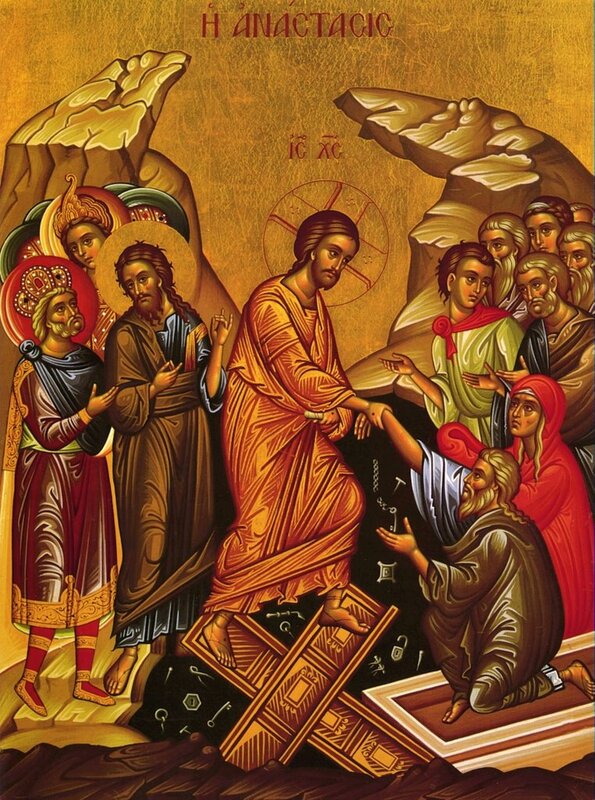 This icon is based upon the apocryphal Gospel of Nicodemus and is sometimes called the Harrowing of Hell because it relates Christ descent among the dead to free the souls of those who died before his resurrection. Today we celebrate Christ’s victory over death and, in turn, our own libertation from the forces of death and darkness. Christ died for the sake of the world and in him the whole world is reborn. For more information about the Harrowing of Hell, check out this link. Be sure to vote for us at Podcast Alley! To download this episode, click on the below or subscribe with iTunes! This entry was written by sbeshonertor, posted on April 15, 2006 at 3:16 pm, filed under Uncategorized. Bookmark the permalink. Follow any comments here with the RSS feed for this post. Post a comment or leave a trackback: Trackback URL.